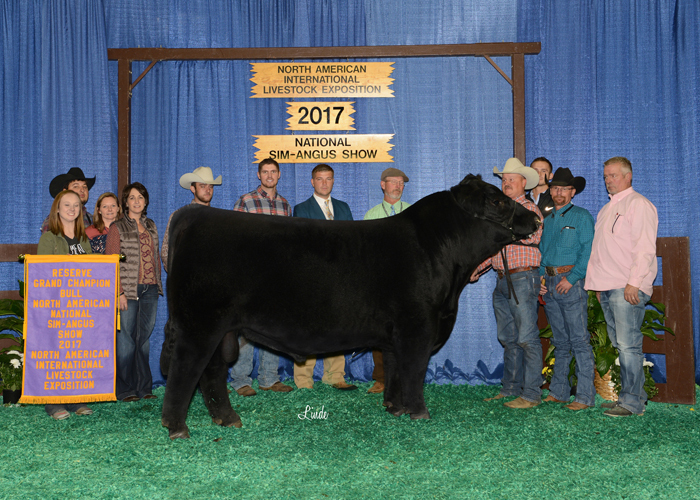 The American Simmental Association (ASA) is proud to announce the winners of the inaugural Ring of Champions contest. The Ring of Champions program recognizes cattle that have been consistently successful at ASA's major Progress Through Performance (PTP) shows, reflecting an industry reality where producers routinely balance between phenotypic evaluation and scientifically relevant EPDs and Indexes. "The lengths these cattlemen go to exhibit and showcase their genetics is truly admirable," says Luke Bowman, ASA's Director of Membership and PTP Operations, "Their skill in the off-season of selecting the appropriate cattle to show, the work behind the scenes to prepare the cattle for their full potential visually, the expense to travel all these distances to compete at the greatest venues while consistently placing at the top is certainly something that should be recognized. We are proud these cattle carry the SimGenetics brand; these represent us all very well." "CMFM Crossroads 224C," s. by HTP/SVF Duracell T52, exh. 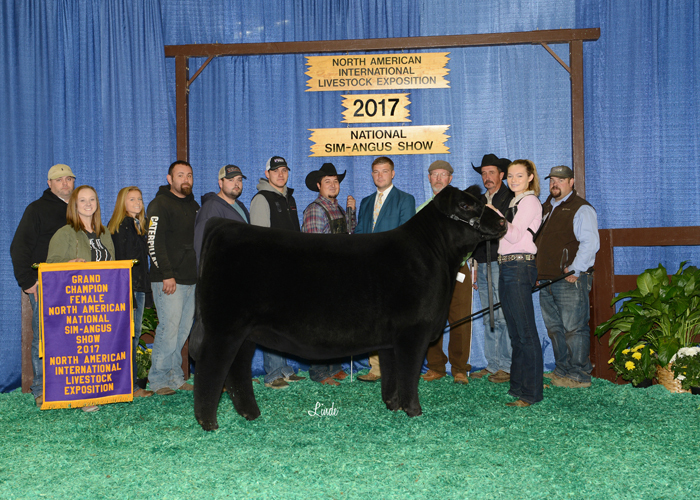 by Elmore Cattle Services, Berlowitz Cattle & The Crossroads Group, OK.
"GSC GCCO Dew North 102C," s. by HTP/SVF Duracell T52, exh. by Glacier Cattle Co., WI. "HILB/SHER Data Breach" s. by HILB Oracle C033R, exh. by Hilbrands Cattle Co., MN. "PEINE/GS Rosie 677D," s. by LLSF Addiction AY792, exh. by Sarah Sullivan, IA. "CMFM Time To Shine 99D," s. by HPF Quantum Leap Z952, exh. by Buck Creek Ranch & Dieckmann Cattle Co., OK.
"DMCC Destiny 22D," s. by Yardley High Regard W242, exh. by Abby Wood, KS. "Rocking P Die Hard C060," s. by HPF Quantum Leap Z952, exh. by Rocking P Livestock, KY.
"DAJS Flatliner 124," s. by SVF Steel Force S701, exh. by Katy Satree, TX. "VOLK Currency E69 CC," s. by SC Pay The Price C11, exh. by Elmore Cattle Services & Graham Cattle, OK.
"SJW Arkdale Pride 678D," s. by FHEN Halftime A12, exh. by Sarah Sullivan, IA. "S&S High Class Lady 750E," s. by EXAR Classen 1422B, exh. by Jake Nikkel, KS. "UG Danica 5017D ET," s. by Remington Secret Weapon 185, exh. by Chase Ratliff, MO. announced. The event is being held in conjunction with the ASA’s 50th Annual Meeting. 7:00 - 10:00 pm ASA Board Meeting - Open to the public. 8:00 am ASA Board Strategic Session – closed session. he American Royal Complex is an incredible facility and we are sure to have a great event!